Dress is a very important thing for everyone's life. The way one is dressed up, creates an impression on the onlookers. The impression can be positive or negative. Man's attire is something very important which reflects one's status and personality. If you want to develop a good impression on someone then you must be well dressed. It is through your apparel that one will learn about your choice and preference. 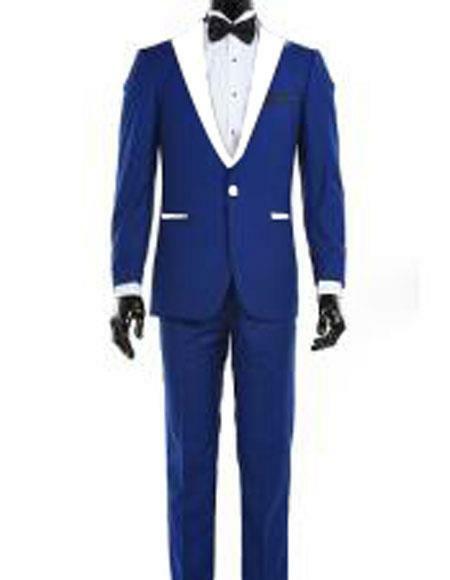 Royal blue Tuxedo is the current 'in-thing' in the fashion industry. These are highly sophisticated that gives one an edge in their appearance over the others. The best thing about this apparel is that it never goes out of style. This is highly versatile and can be worn on different occasion. 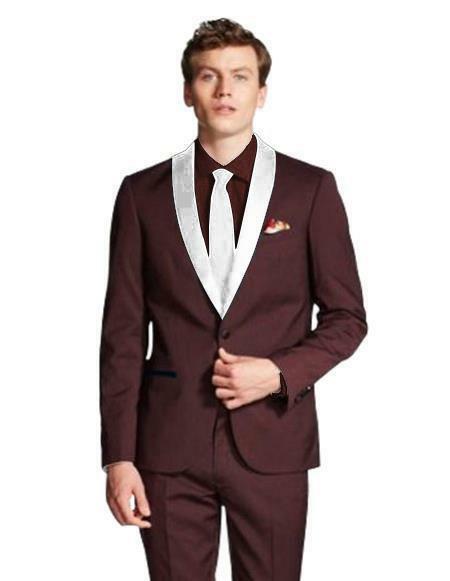 Tuxedos are available in different styles, cut & patterns, colors and materials. Sometimes, men are often confused about the color and material content. 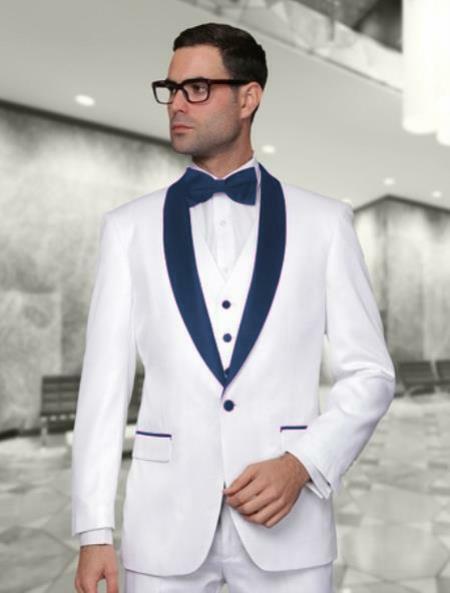 Presently, the combination of royal blue and white mens tuxedo is gaining its popularity with the passage of time. It is because blue is versatile color and reflects peace, truth, spirituality and youth. Young men always opt for blue color because it speaks of your spirituality. 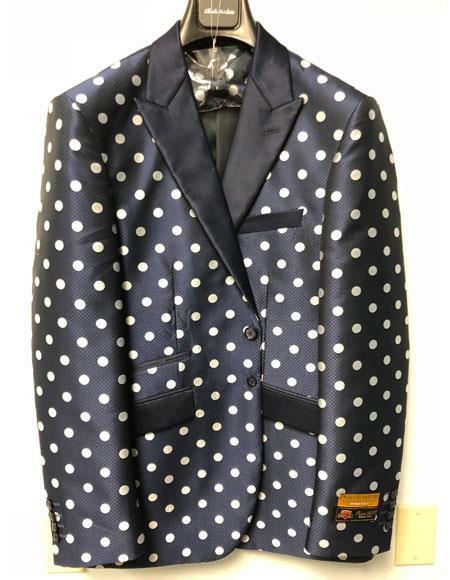 Wedding party or social gathering or to a workplace, you can wear a tuxedo suit in blue and white combo. 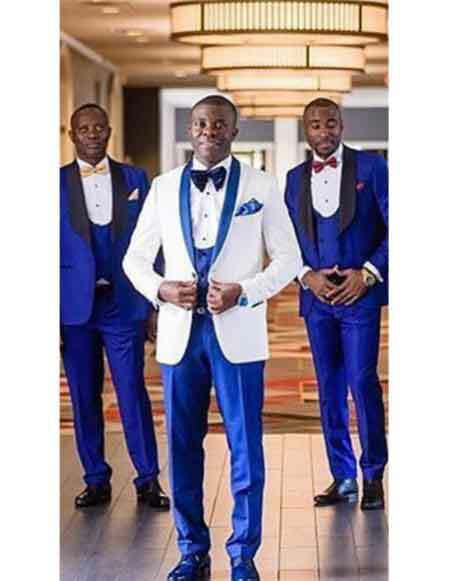 Tuxedos are available in different shades of blue thus you have more option to make your selection from. 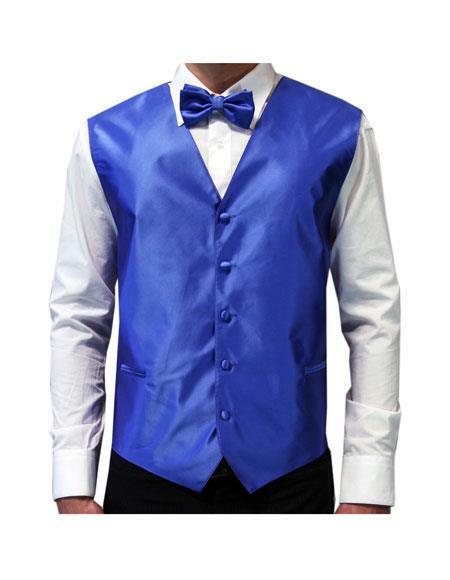 Combination of Blue and white tuxedo can make anyone look elegant and beautiful. 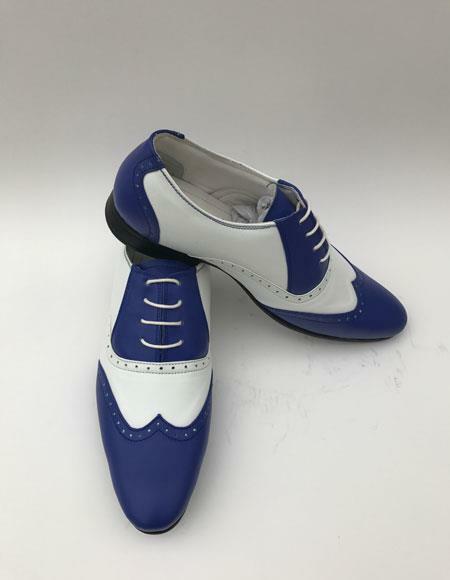 There are different ways how one can make a combo of blue and white. 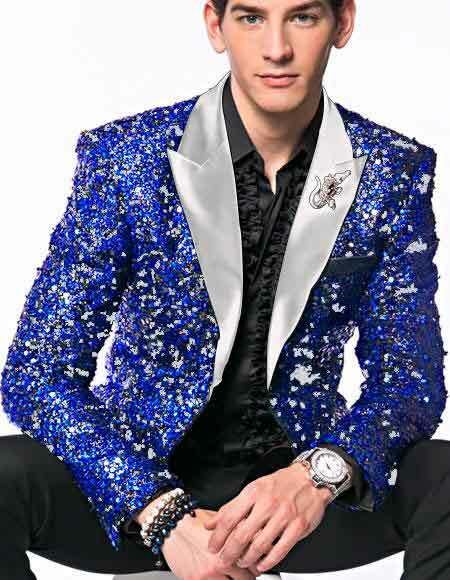 You can wear royal blue tuxedo blazer over white shirt and royal blue trouser. It's a sober color combination. It will bring a smart and stylish look to the wearer. This combo can be worn at different occasions such as wedding party, business meeting or in luncheons. 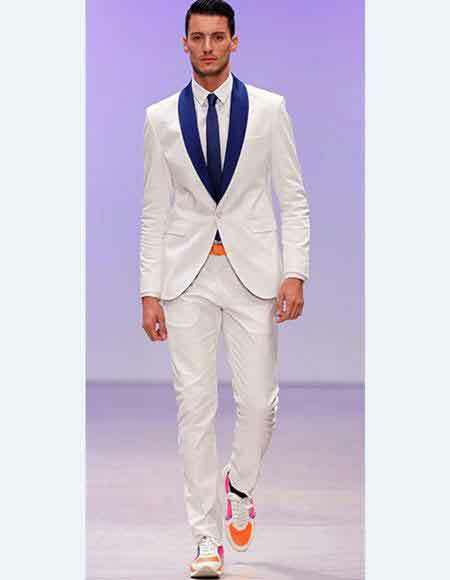 If you want to look different from others then wear white blazer over white trouser and shirt along with a royal blue tie. 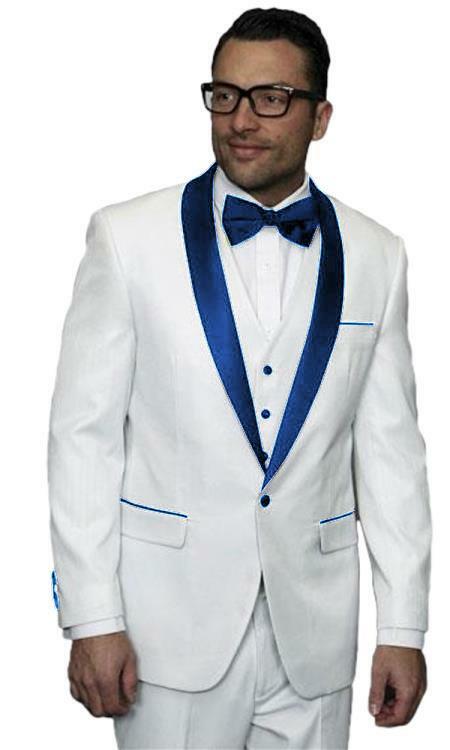 This royal blue and white mens tuxedo combination will make you look stunning and trendy. You can also wear a royal blue overcoat over a white trouser and shirt. This combo is perfect to make one look trendy and authoritative if paired with a blue color bow tie. This apparel can be worn on different occasions such as wedding party or social gathering. 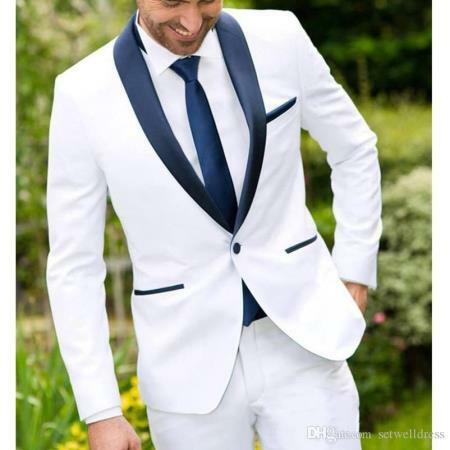 Formal or casual event, royal blue and white tuxedo combination suits every occasion. All you have to be careful is that of the suit size. 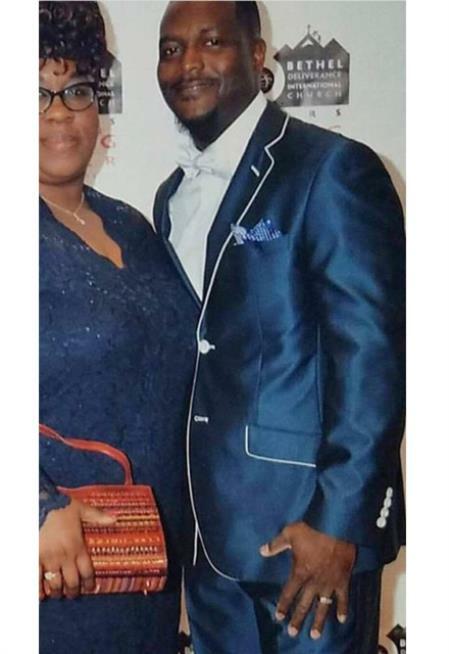 A well cut and perfect fit tuxedo can make one appear beautiful and attractive. Poor fittings may spoil your whole appearance hence it is essential that you get the perfect size. These days, you can purchase tailored made tuxedo. All you have to do is provide correct measurement to the store, and then they will design your apparel in accordance with your specifications. So, what are waiting for? If you want to appear smart and trendy then go ahead and take your pick. 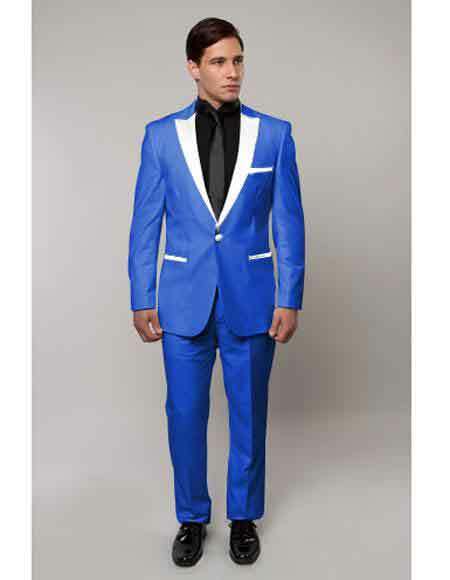 This royal blue and white mens tuxedo can be an excellent outfit for making a style statement.